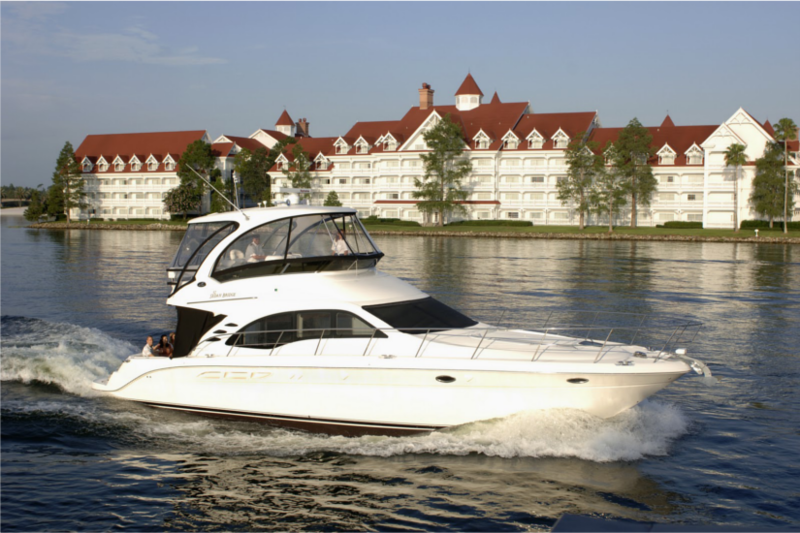 The Grand 1 Yacht, a 52-foot vessel at Disney’s Grand Floridian Resort & Spa, is a one-of-a-kind voyage available to all Walt Disney World Guests. With an experienced Captain and Deckhand aboard, this is the perfect addition to any vacation to relax on a leisurely day excursion around Seven Seas Lagoon and Bay Lake or to celebrate a special occasion. Guests can enhance their celebration with customizable packages such as a party cruise or intimate dining packages for an additional price. The Grand 1 Yacht may hold up to 18 Guests, and while Guests can't bring theirr own food on the yacht, they may order any food of their choice through Private Dining by dialing 2473 from their in-room phone. Daytime reservations can be made from 7:00 a.m. to 7:00 p.m. Prices vary seasonally for daytime excursions and your choice of celebration packages. For updated pricing and reservations, call 407-WDW-PLAY.